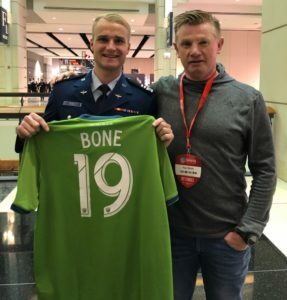 Following Friday’s MLS SuperDraft where Placer United alumni Tucker Bone was drafted in the first round by Seattle Sounders, Saturday ushered in another exciting day in Chicago. Placer United Soccer Club had current and former players pick up All American and All Region Awards at the 2019 United Soccer Coaches Convention. The United Soccer Coaches organization serves as the recognized leader in naming All-America soccer players and teams at every level of play. Anna Gregg – College Div II Scholar Player of the Year Award and All American Div II First Team Award. Corban Anderson – College Div I All Region second Team. Big Congratulations to all five players. Great job!